The Benchmark Clinic of Integrative Medicine » How Do Naturopathic Doctors Prevent and Treat Heart Disease? How Do Naturopathic Doctors Prevent and Treat Heart Disease? Heart disease, the leading killer for both men and women in the U.S., is largely preventable if caught and treated early. 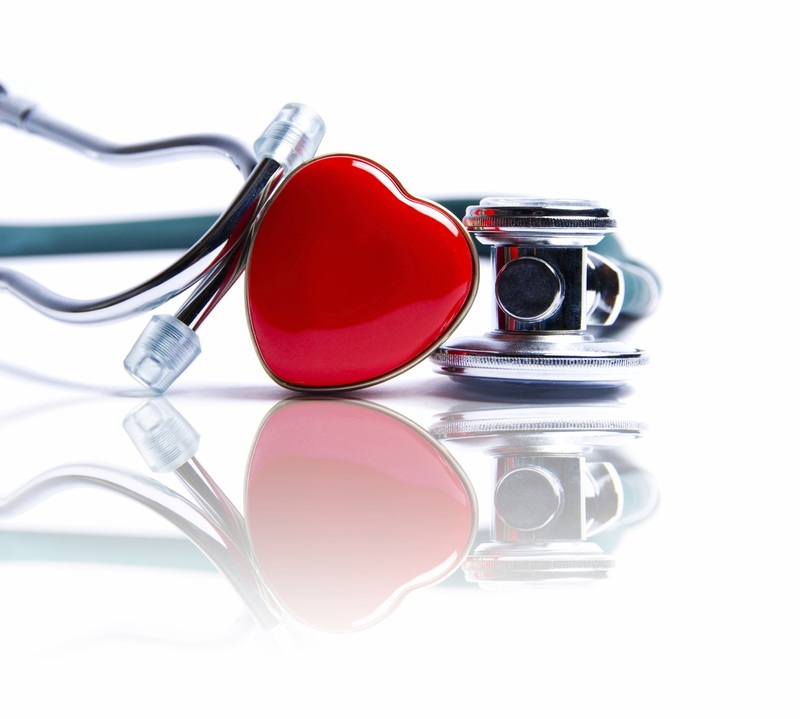 Naturopathic doctors (NDs) excel at preventing and treating cardiovascular disease because they focus on identifying the underlying causes of disease and empowering patients to make enduring lifestyle changes to restore and maintain their health. A study investigating the effects of lifestyle changes in patients with atherosclerosis (the buildup of fatty, cholesterol-rich plaque in the arteries) found that after only one year of following lifestyle recommendations, about 80 percent of participants were able to bring about plaque regression and avoid surgery without the use of lipid lowering agents. Comprehensive intake to identify risk factors and underlying causes. Root causes of heart disease often show up as warning signs in other bodily systems, and many times they are the result of chronic inflammation in the body.Chronic inflammation can arise from poor diet, a sedentary lifestyle, stress, autoimmune disease, food allergies, and many other sources. Inside arteries, inflammation helps kick off atherosclerosis, which narrows the arteries and increases the risk they’ll become blocked. This can lead to heart attacks and certain types of strokes. Naturopathic doctors spend between one and two hours with patients in an initial appointment, and a good portion of this time is dedicated to identifying sources of inflammation. Trained to be “inflammation hunters,” NDs perform a methodical review of your major bodily systems (skin, digestion, joints, respiratory, etc.). They will also ask detailed questions about your diet and physical activity, and discuss your main stressors and coping strategies. Naturopathic doctors look carefully for conditions such as insomnia, fatigue, and depression because they are all serious risks for both heart disease and heart attack. These conditions deplete vital neurotransmitters, such as serotonin, that are essential for good endothelial (blood vessel) health. Your doctor will individualize treatment with an emphasis on natural agents, such as clinical nutrition, botanical medicine and counseling. Naturopathic doctors avoid the use of non-steroidal anti-inflammatory drugs (NSAIDs) if possible. NSAIDs such as ibuprofen have been associated with heart attacks and heart failure. Management of vital signs with medications as needed. Naturopathic doctors follow the Therapeutic Order, a set of guidelines for clinical decision making that prioritizes minimally invasive therapies to support the body to repair itself. Because of this, NDs lead with natural treatments. However, they are also trained to use pharmacological drugs when necessary. If their state license permits, NDs can prescribe medications such as diuretics, beta-blockers, and ACE inhibitors as a bridge to manage symptoms of chronic inflammation or cardiovascular disease (e.g. hypertension), until the body repairs itself. If not, they will refer patients to and collaborate with a conventional medical colleague. Naturopathic doctors will help you balance potential unwanted side effects of these medications with natural protocols that can correct them. The goal is to reduce or eliminate reliance on medications in the long-term by addressing the root cause(s) of heart disease. Optimizing gastrointestinal function. The gastrointestinal (GI) tract is a common source of inflammation in the body. Gut flora are living microorganisms that provide a wall of protection between your digestive tract and your blood stream. When the flora in your digestive tract are not in balance, you risk developing localized inflammation. This can lead to alterations in intestinal permeability (leaky gut) which can contribute to heart disease. Naturopathic doctors help repair the GI tract using their extensive training in diet and clinical nutrition. Restoring proper PH, balancing flora, correcting leaky gut and constipation – linked with a higher risk of dying from cardiovascular disease – are focal points of naturopathic GI treatment. Addressing endothelial dysfunction. The endothelium is the inner lining of your blood vessels. It is considered one of the largest organs in your body, and plays an important role in maintaining good heart health. If the endothelium is not functioning optimally, you have an increased risk of arterial inflammation and plaque build-up, which can lead to heart attack or stroke. Endothelial dysfunction is caused by lifestyle factors including tobacco use, obesity, age, hypertension, hyperlipidemia, physical inactivity, and poor diet. A focus of naturopathic medicine is empowering patients to make lifestyle changes in order to achieve optimal health. Your doctor will work with you to restore normal endothelial function using a combination of lifestyle modification, botanical medicine,12, and/or clinical nutrients13,14,15. Motivating physical activity. Exercise is linked to improvements in numerous cardiovascular risk factors such as obesity16, depression17, inflammation18, diabetes19, and more. Naturopathic doctors believe it is their duty to inspire patients to exercise, rather than just give them guidelines. Because of the extra time they spend getting to know your lifestyle and support systems, they are often able to give you creative and personalized recommendations for physical activity that you can not only implement, but also sustain. Litchman JH, et al. Depression and coronary heart disease: Recommendations for screening, referral and treatment. Circulation, Oct 21 2008. 118(17):1768-1775. Bally M, Dendukuri N, Rich B, et al. Risk of acute myocardial infarction with NSAIDs in real world use: bayesian meta-analysis of individual patient data. BMJ.2017;357. Arfè A, Scotti L, Varas-Lorenzo C, et al. Non-steroidal anti-inflammatory drugs and risk of heart failure in four European countries: nested case-control study. BMJ.2016;354:i4857. Honkura K, Tomata Y, Sugiyama K, et al. Defecation frequency and cardiovascular disease mortality in Japan: The Ohsaki cohort study. Atherosclerosis. 2016;246:251-256. Widmer, R. Jay and Lerman, A. Endothelial dysfunction and cardiovascular disease. Glob Cardiol Sci Pract. 2014; 2014(3): 291–308. Ganz P, Hsue PY. Endothelial dysfunction in coronary heart disease is more than a systemic process. Eur Heart J. 2013;34(27):2025-2027. Peters W, Drüppel V, Kusche-Vihrog K, et al. Nanomechanics and sodium permeability of endothelial surface layer modulated by hawthorn extract WS 1442. PLoS One. 2012;7(1):e29972. 12 Usharani P, Fatima N, Muralidhar N. Effects of Phyllanthus emblica extract on endothelial dysfunction and biomarkers oxidative stress in patients with type 2 diabetes mellitus: a randomized, double-blind, controlled study. Diabetes Metab Syndr Obes. 2013;6:275-284. 13 Heinisch BB, Francesconi M, Mittermayer F, et al. Alpha-lipoic acid improves vascular endothelial function in patients with type 2 diabetes: a placebo-controlled randomized trial. Eur J Clin Invest. 2010;40(2):148-154. 14 Gao L,Mao Q, Cao J, et al. Effects of coenzyme Q10 on vascular endothelial function in humans: a meta-analysis of randomized controlled trials. Atherosclerosis. 2012;221(2):311-316. 15 Shechter M,Sharir M, Labrador MJ, et al Oral magnesium therapy improves endothelial function in patients with coronary artery disease. Circulation. 2000;102(19):2353-2358. 16 Eckel RH. Obesity and heart disease: a statement for healthcare professionals from the Nutrition Committee, American Heart Association. Circulation.1997;96(9):3248-3250. 17 Mead GE, Morley W, Campbell P, et al. Exercise for depression. Cochrane Database Syst Rev. 2009 Jul 8;(3):CD0044366. 18 Ford ES. Does exercise reduce inflammation? Physical activity and C-reactive protein among U.S. adults. Epidemiology. 2002;13(5):561-568. 19 Parlikar U. Tight blood sugar control in type 2 diabetes linked to fewer heart attacks and strokes. June 4, 2015. Harvard Health Publications. Available at: https://www.health.harvard.edu/blog/tight-blood-sugar-control-in-type-2-diabetes-linked-to-fewer-heart-attacks-and-strokes-201506048059. Accessed August 4, 2017.